DENVER -- The Portland Trail Blazers fell to 3-0 versus the Denver Nuggets this season with a 119-110 loss in front of a sellout crowd of 19,928 Friday night at the Pepsi Center. Portland is now 50-29 overall and 20-20 on the road this season. While they still remain in fourth in the Western Conference standings, they now trail the Rockets by 1.5 games for third and lead the Jazz by a game for fourth with three games to play. Meanwhile, the Nuggets secured the Northwest Division title with the victory. The Trail Blazers, despite Seth Curry (left tibia soreness) joining CJ McCollum (left knee muscle strain) and Jusuf Nurkic (broken left leg) on the injured list, gave the Nuggets all they could handle for the better part of Friday’s game. Portland led by as many as 11 in the first quarter, held a lead early in the fourth and trailed by three with just under two minutes to play. But when you’re playing shorthanded in elevation against the team with the second-best record in the West, you can’t give up extra opportunities. Unfortunately, that’s what the Trail Blazers did, allowing the Nuggets seven offensive rebounds in the fourth quarter on the way to being outscored 9-3 in the final 1:36 to come away with the nine-point loss. 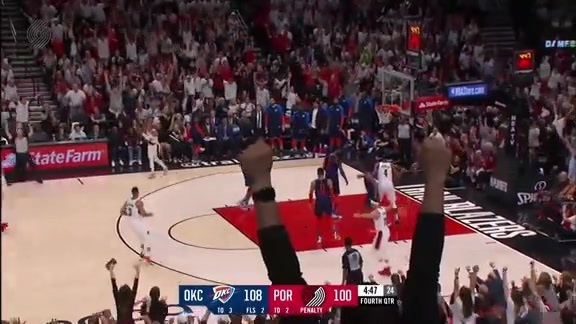 The Blazers were led by Enes Kanter, who went 12-of-17 form the field for 24 points to go with seven rebounds and four assists in 38 minutes. The 6-11 center out of Turkey has now scored 20+ points in four consecutive games for the first time in his career. Rodney Hood, starting his third game in place of McCollum, went 8-of-12 from the field for 17 points to go with three steals, two rebounds and an assist in 34 minutes. Both Evan Turner and Jake Layman came off the bench to score 15 points apiece. 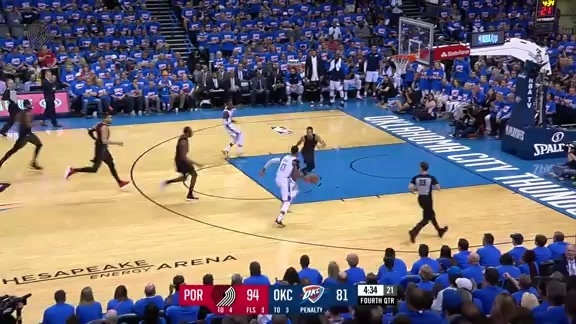 Al-Farouq Aminu put up a double-double with 12 points and 14 rebounds while also tallying three assists, two steals and a block in 31 minutes. 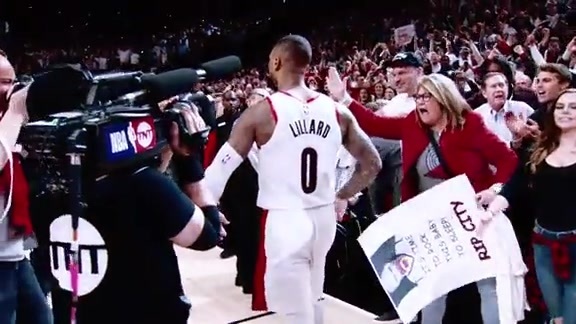 Damian Lillard made just three of 14 shots and missed all six of his three-point attempts, though he still finished with 14 points to go with eight assists and four rebounds in 39 minutes. Four Nuggets finished in double figures led by Paul Milsap, who led all scorers with 25 points in 30 minutes. Nikola Jokic finished just short of a triple-double with 22 points, 13 rebounds and nine assists in 37 minutes. The Trail Blazers won’t want long in their quest for payback, as they host the Nuggets Sunday night at the Moda Center in the second-game of a late-season, home-and-home series. Tipoff is scheduled for 6 p.m.